You have the option to return, free of charge, any product ordered within 30 days of its date of receipt. The product must be returned in perfect condition, unworn, in its entirety (boxes, accessories, covers, labels, booklets, etc.) and in its original packaging, accompanied by a copy of the receipt. We recommend you take all necessary precautions to ensure its protection. Any damaged, used, incomplete or soiled product will not be eligible for a refund. GIVENCHY does not offer exchanges. Please follow the returns procedures below in order to return your products to us free of charge. 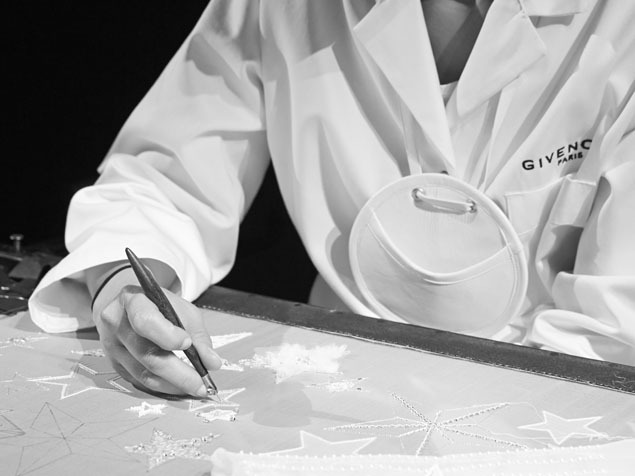 Terms and fees of return are provided by GIVENCHY. 3. Confirm your request for a return. You will receive a confirmation email with your return number. 4. Place the items you wish to return as well as a copy of your receipt inside the box in which you received your order. 5. Place the pre-printed return label provided with your order on the outside of the package. 6. Once your package is prepared, contact our Customer Service to schedule a pickup of the package with our UPS carrier at your convenience. Contact Givenchy Customer Service: 00 800 0000 1952 Monday through Saturday from 10:00 am to 7:00 pm (Paris time), in French and English. 7. You will receive a confirmation email with your request for return and pickup. 8. A courier will come to your home during the previously chosen time slot for product pickup. If you placed an order without creating an account, you must go to the “Login” section of the Site. By entering your order number, email address and postal code, you will be able to access the declaration of return page. The same rules apply as those shown above. You have the option to return, free of charge, products ordered within 30 days from their date of delivery. A confirmation email will be sent to you. The refund will then be made according to the same payment method and in the same currency as that used by the customer upon payment of his/her order. Refunds will be made via the credit card used for payment. For security reasons, we are not authorized to carry out the refund to another account or via a credit card other than that used for payment of the order.